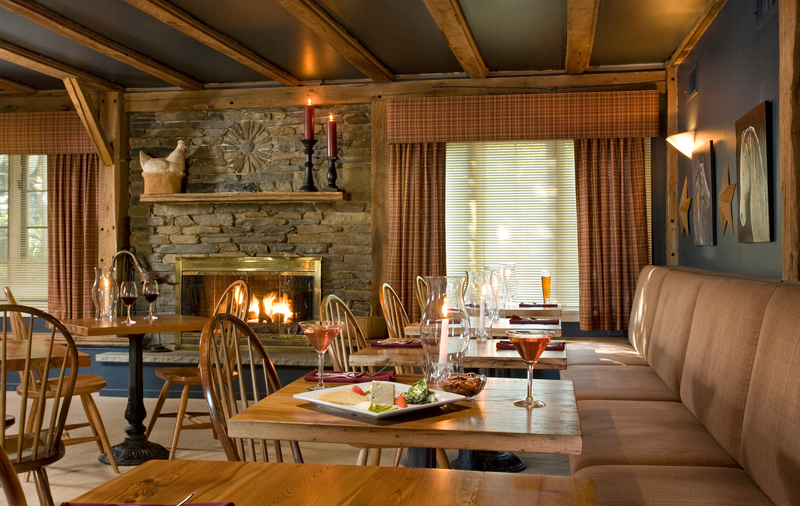 Indulge all five senses when you stay at the picturesque Glasbern Inn, with the tranquil sounds of birds outside and the comfortable warmth of the fireplace indoors. Our Main Dining Room is the perfect bookend to your day, with a variety of delectable menu items such as our succulent grass-fed beef tenderloin, Glasbern’s own meatloaf, and our crisp pear and arugula salad. Dine in our exquisite 19th Century barn setting, which features stunning 28-foot cathedral ceilings, exposed original beams, and rustic fieldstone walls. 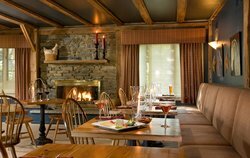 Linger for a drink at the Pub after a romantic dinner and take a walk on our gorgeous property before turning in for the night. All of our on-site events are catered by our extraordinary culinary team, who go above and beyond to provide five star service. Let us assist you with the menu for your corporate retreat or special party to provide a dining experience that parallels the natural beauty of the Glasbern Inn. Our Main Dining Room features stunning 28-foot cathedral ceilings, rustic fieldstone walls, and exposed original beams. Join us for a delicious dinner or country style breakfast for overnight guests, all featuring fresh ingredients grown right on our property’s farm. Dine in our exquisite 19th Century barn setting, which features stunning 28-foot cathedral ceilings, exposed original beams, and rustic field stone walls. 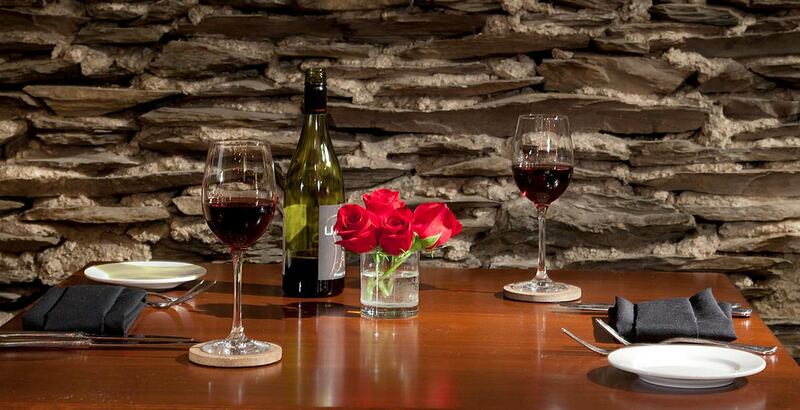 Linger for a drink at the Pub after a romantic dinner and take a walk on our gorgeous property before tucking in for the night.